The Ultimate Sexual Attractant & Elite Fashion Accessory. Ultra potent 98.8 % pure pheromones for men & women. 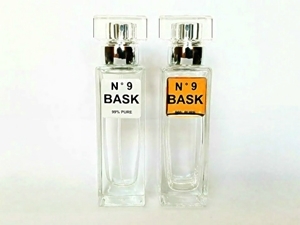 N ° 9 BASK has created a love formula so intense its designed to attract & lure anyone! Only one of its kind in the world. Highest concentration made & undetectable. To be used daily with any of your favorite perfumes or colognes. “Its That Easy”. The pheromone cologne will last up to 6 days on clothing and up to 3 days on your body. N o 9 BASK is truly and incredible product. I am now a customer for life. Bravo!